Most people say they would rather die at home, but few manage to avoid a death that takes place in an institutional setting. A new book by Dr Janene Carey from the University of New England chronicles the joys and challenges of caring for a loved one with a terminal illness at home, from diagnosis to death. 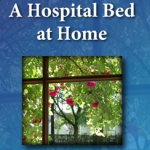 A Hospital Bed at Home is a collection of narrative nonfiction stories based on lengthy interviews with former family caregivers, mostly from the New England and the North Coast regions, who spoke frankly and eloquently about their experiences. A gritty memoir about the time Dr Carey spent as a carer links the individual stories and forms the final chapter of the book. The impetus to research caregivers’ stories for a PhD in Writing came from Dr Carey’s own experience of looking after her mother during the final stage of metastatic breast cancer. Secondary brain tumours meant Pat Carey spent her last five months bedridden, unable to walk, talk properly or feed herself. Her family cared for her at home for as long as possible, but eventually had to surrender her to a nursing home. “Like most people, I was totally unprepared for the challenge of caring for a terminally-ill person,” Dr Carey said. “I’d expected to rise to the occasion but instead I found myself sinking under the stresses – the worries, injuries, lack of sleep and anticipatory grief. Writing about what we were going through was part of how I coped. The book will be launched by Rebecca Spence, who is one of the caregivers profiled in the book. Rebecca had been living in Armidale for almost twenty years when she was called home to Northern Ireland to help care for her father, who had stopped wanting to eat. She says she is still not sure whether his death was due to his chronic lymphocytic leukaemia, or simply his strong disinclination to go on living with it. Dr Glenda Parmenter, a palliative care specialist at the University of New England who co-supervised the PhD thesis that contained the book manuscript, said a strong commitment to fidelity and veracity shaped the gathering and documenting of the stories. “The result is a true-to-life and rich account of the varied experiences of these people. Reading these beautifully presented real life stories has made me laugh and cry, sometimes both at the same time,” Dr Parmenter said. 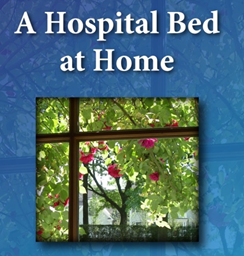 A Hospital Bed at Home: Family stories of caregiving from diagnosis to death will be launched at the Reader’s Companion bookshop in Armidale at 4:30pm on Thursday 29 May.